The release date for Bombshell, the top-down isometric action game from 3D Realms is finally revealed, coming January 29th 2016. There are a few buying options, one of which gets you into the beta, in addition to giving you the awesome soundtrack. Bombshell is hitting stores on January 29th 2015, beta sold separately. Bombshellwill be a title that’s sold completely digitally, and not have a boxed counterpartin the U.S. at $34.99, with the Bombshell Digital Deluxe Edition being priced at $39.99. 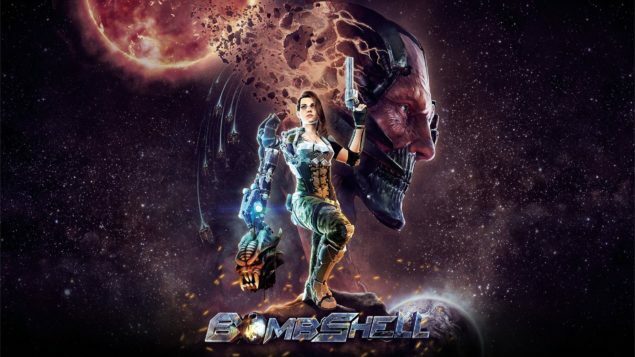 Bombshell is set to launch globally on Windows via the usual Steam and GOG on January 29th 2016, with console versions developed by their partner, Abstraction Games coming to the Xbox One and Sony’s PlayStation 4 sometime later in 2016. If you want to access the upcoming beta, however, you’ll have to look at the Digital Deluxe edition, as that’s the only edition that’ll let you participate. It also gives you the official soundtrack, buy Andrew Hulshult (of Rise of the Triad and other 3D Realm remake fame), a novel digital art book and of course a world map. in addition to the coveted beta, you’ll get free access to Bombshell FPS Prequel, which is a retro-style first-person shooter that will be sold separately in 2016. Bombshell FPS Prequel follows the events leading up to Shelly “Bombshell” Harrison’s encounter with a Professor Jadus Heskel that ended up costing her her arm, her squad, and her reputation. This’ll be built with the Build Engine that was used in Duke Nukem 3D and the original Shadow Warrior.